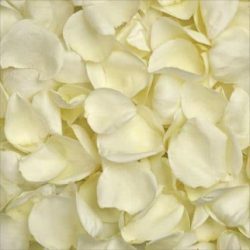 The White Jasmine also known sometimes as Madagascar Jasmine is another flower species popularly used or wedding ceremonies, especially the reception. 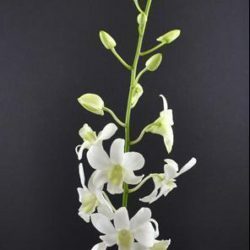 Regarded as a sign of purity and good luck the White Jasmine is traditionally used to adorn bouquets carried by brides and their bridal train following behind. They can be worn on the hair direct, for craft leis or any other decorative design preferred. 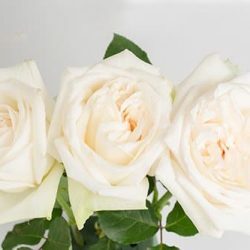 Our pure and lucky White Jasmines are perennial flowers and though beautiful, the stems and petals are very delicate and much care should be taken when designing floral arrangements with them. We invite you to try out our pure and lucky White Jasmine. 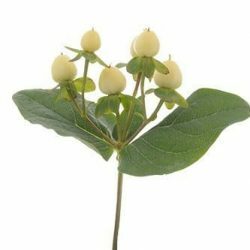 · Keep Stephanotis flowers away from direct sunlight, store in a cool air conditioned room. The life span is approx. 7 days. To keep fresh, a light mist using a spray bottle from 12″ inches away, once and a day will keep them hydrated. Using extender water picks will prolong the life of Stephanotis Jasmine and are useful for floral design work. We suggest scheduling the flowers to arrive 2 days before your event. Review our Fresh Flower Care link below for helpful information and tips to ensure best performance of fresh flowers.